18 super cute festive outfits for your little one this Christmas! There’s nothing like an adorable Christmas outfit on a baby to get everyone in the festive mood – particularly if it’s their first time experiencing this special holiday. So whip out the credit card and camera because here are 18 cute tees, rompers and other festive clothing items that will have you snapping away faster than Santa’s sleigh! 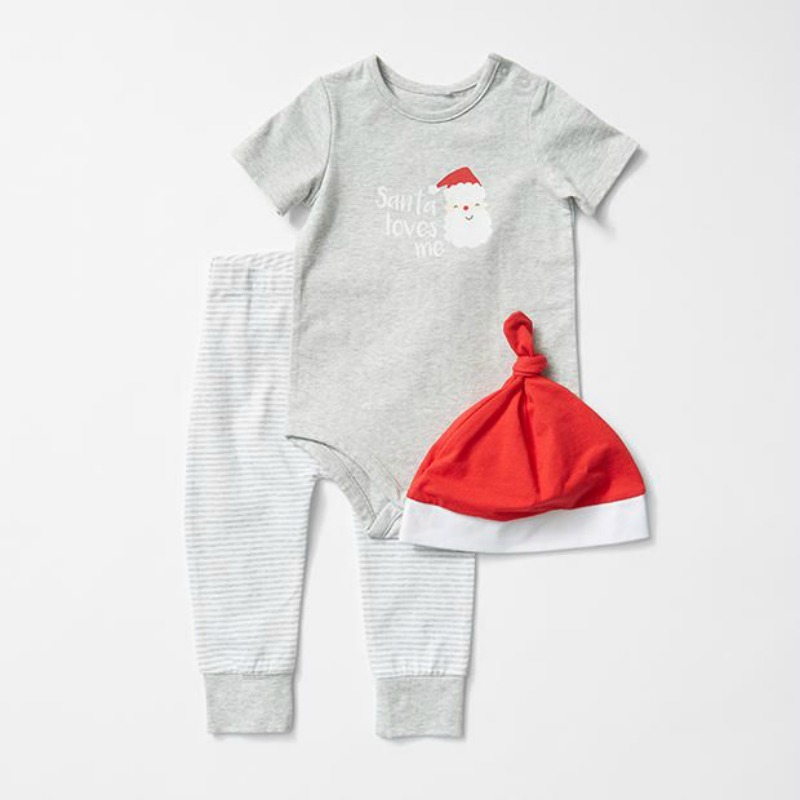 This Baby 3 piece Christmas bodysuit & leggings set from Target ($15) is cute but understated, and even comes with a neat little Santa hat! What festive outfits are you planning for your little ones this Christmas?